The fastest way to get a car title loan is by applying for it online. All you need to do is click the “Apply Online Now” button below. We have all the instructions there. You do not have to leave the comfort of your home in order to get the money that you so urgently need. The process is straightforward and won’t take up much of your time, while the results will be quite satisfying. If you would like to speak to one of our friendly associates, please give us a call: (858) 433-0991. 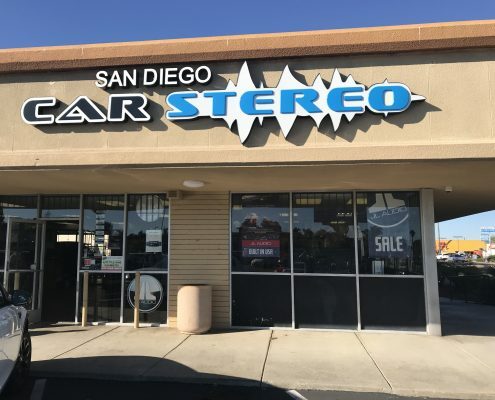 San Diego Car Stereo is an inspection and GPS installation center for Fast Money Loan located at 4220 Convoy Street, San Diego, CA. This location also can sell and install car audio systems, tint your windows and provide your vehicle with security systems. The staff is friendly and the service is excellent. This is a vehicle inspection and GPS installation location, only. The city of San Diego in CA, is considered to be one of the finest cities in America. The city’s motto is to be “Ever Vigilant.” San Diego was incorporated in the year 1769 and was finally incorporated on March 27, 1850. The city is named after Saint Didacus of Alcala. The city area of San Diego is 372 square miles, out of which 47 square miles is covered by water. In 2016 the population of San Diego was estimated at 1.4 Million. This makes San Diego the 8th largest city in the US. Fast Money Loan understands that financial emergencies are a fact of life and may arise at any time and without warning. In San Diego, regardless of your credit situation or prior issues like having gone through a foreclosure or bankruptcy, we can still help you get the cash you need. With our Auto Title Loans, you can get a loan leveraging the equity of your vehicle. The title of the vehicle is used as collateral to secure the loan, credit is not a consideration like it would be with other types of loans; we look at your ability to repay. Upon approval, the money can be obtained most likely within 24 hours, many times within just a few hours. We have a history of having helped many people get cash when they need it. We understand the intricacies in obtaining a loan of any kind and we take our work very seriously. Our title loans are intended to help borrowers have affordable payment plans so they do not endure further financial issueswhile paying back their loan. If you get pre-approved for a cash loan from Fast Money Loan in San Diego, we will need to place our name on your car title with the DMV. As a lien holder on your vehicle, we let you keep your car for driving as usual. Contact us today, apply online or call us and remember, if you have bad credit, you might still be approved!